which we enjoy their patronage. email we as randomly sceleted as one of the winners. addresses to ticket numbers. If you ignore this you will regret it later. to you immediately you call your agent. award programe.We wish you the best of luck as you spend your good fortune. Previous: AWARD NOTIFICATION RESULT !! !Fresh ScamsNext: AWARD NOTIFICATION RESULT !!! This Email with the Subject "ACKNOWNLEDGE!!!!" was received in one of Scamdex's honeypot email accounts on Sun, 18 Feb 2007 08:00:53 -0800 and has been classified as a Generic Scam Email. 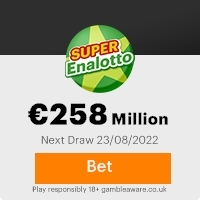 The sender shows as ONCE ESPANA LOTTO <once@once.com>, although that address was probably spoofed. We recommend that you do not attempt to contact any persons or organizations referenced in this email, as you may expose yourself to scammers and, at the very least, you will be added to their email address lists for spam purposes.